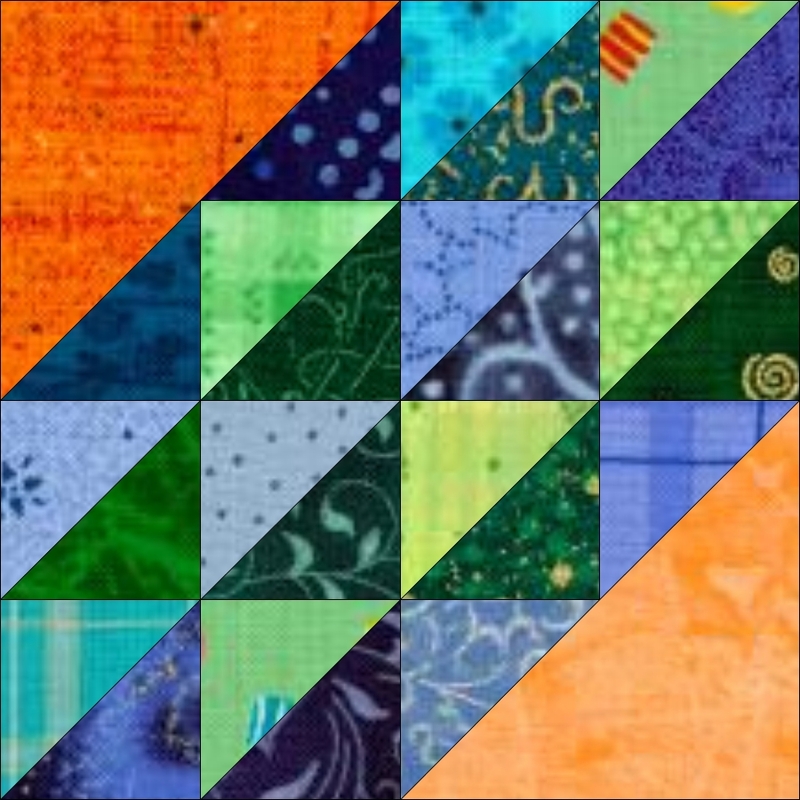 My next anniversary celebration charity quilt includes Four Patches and this blog posting contains the basic information you need to make Four Patches from 5″ squares that will finish 4″. 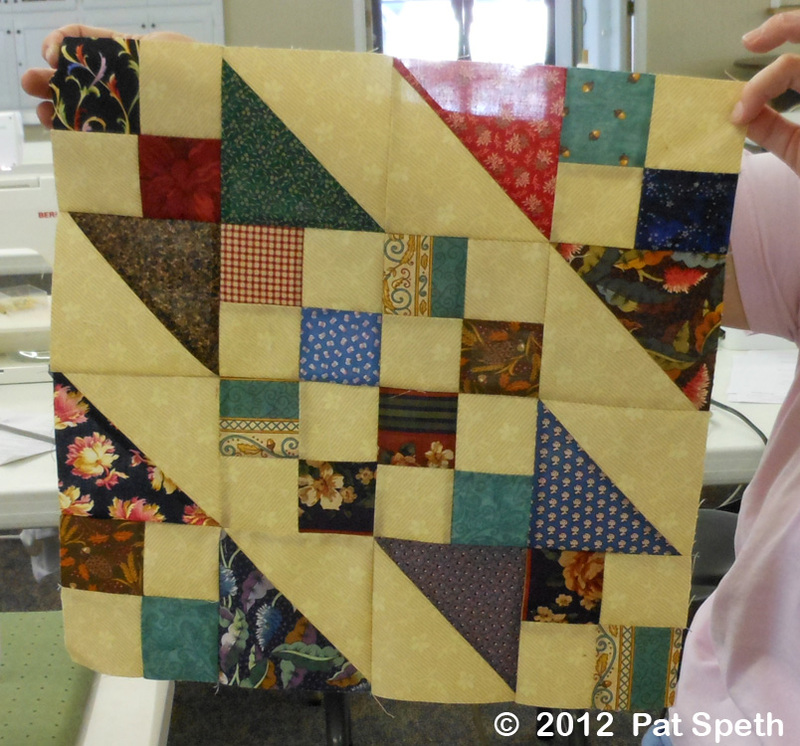 Using 5″ squares, select one dark or medium square and one background square. 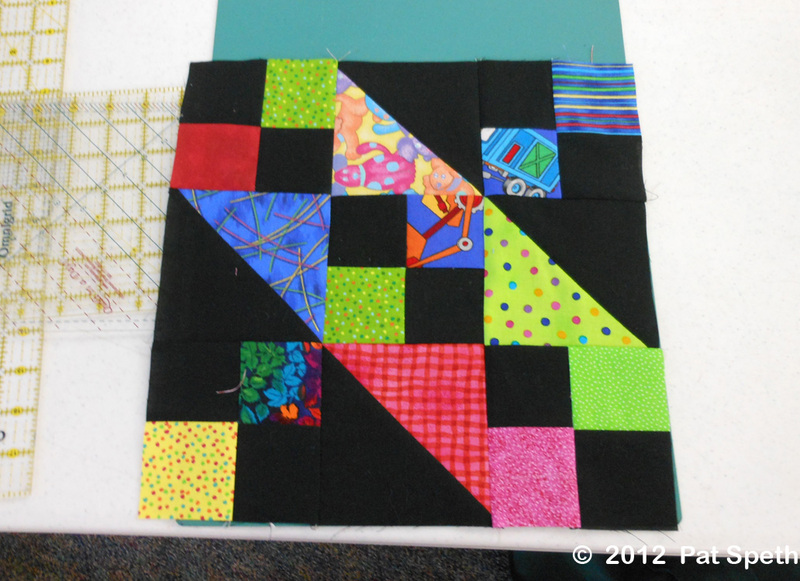 In this example I’m using a white, but many quilts look great with a dark background. 1. 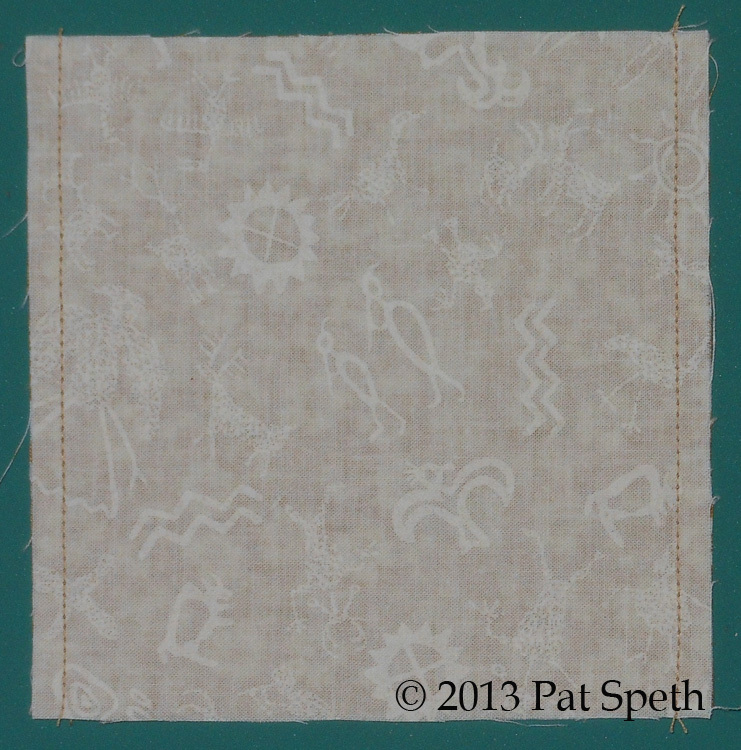 With right sides together, place a 5″ square of the background fabric on a 5″ square of the main fabric. 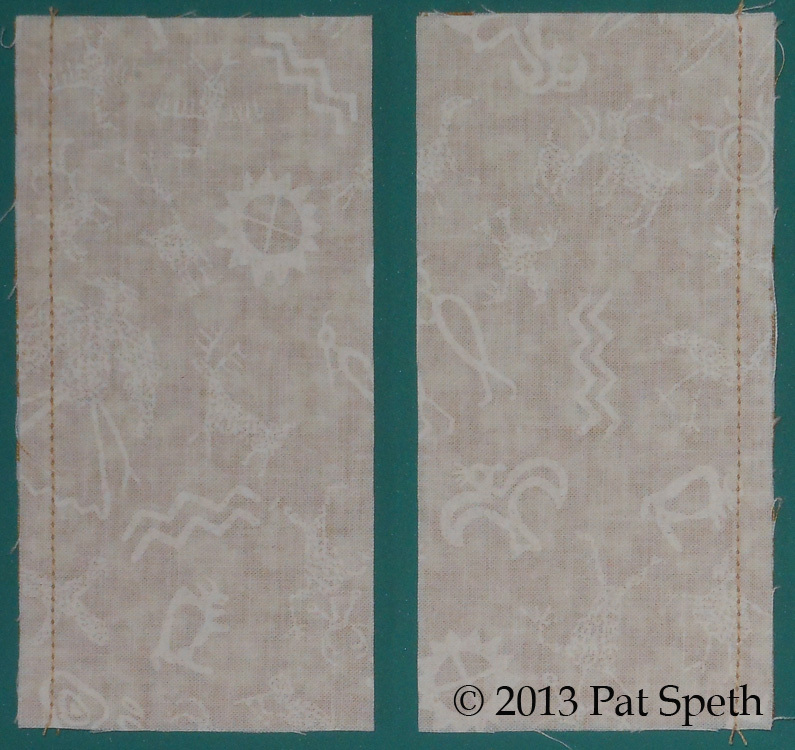 Stitch scant 1/4″ wide seams (just shy of 1/4″) on opposite sides of the unit. 2. Measure over 2 1/2″ and cut the unit in half so that each piece measures 2 1/2″ x 5″. 3. Press to set the stitching; then press the seams toward the darker fabric in the unit. 4. 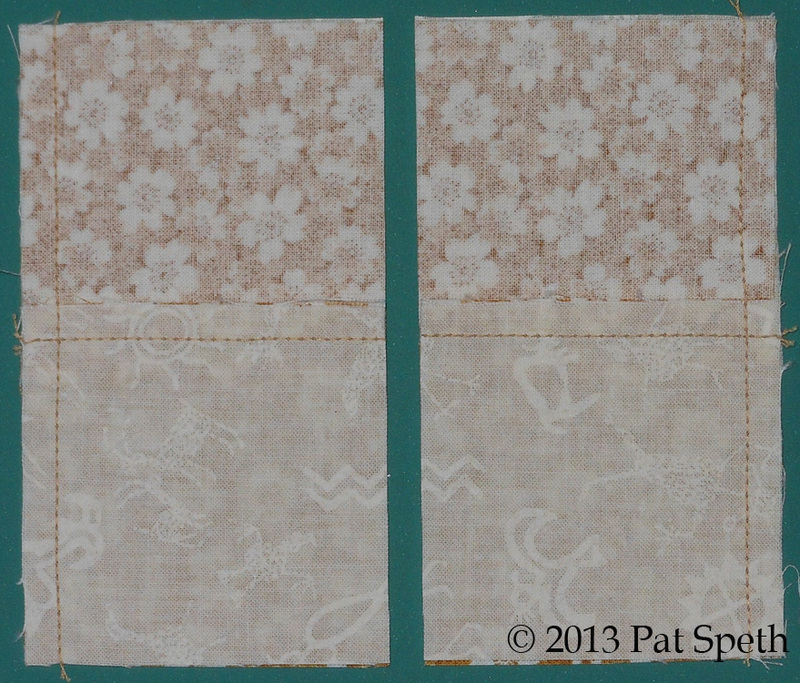 Place two units right-sides together with seams aligned horizontally and the dark and light fabrics opposite each other; stitch scant 1/4″ wide seams on opposite sides of the unit. Be sure the stitching crosses the first seam. 5. Measure over 2 1/2″ and cut the unit in half. 6. Press to set the stitching; then press the seam to one side in each Four Patch unit. Each Four Patch unit should measure 4 1/2″ x 4 1/2″ unfinished. 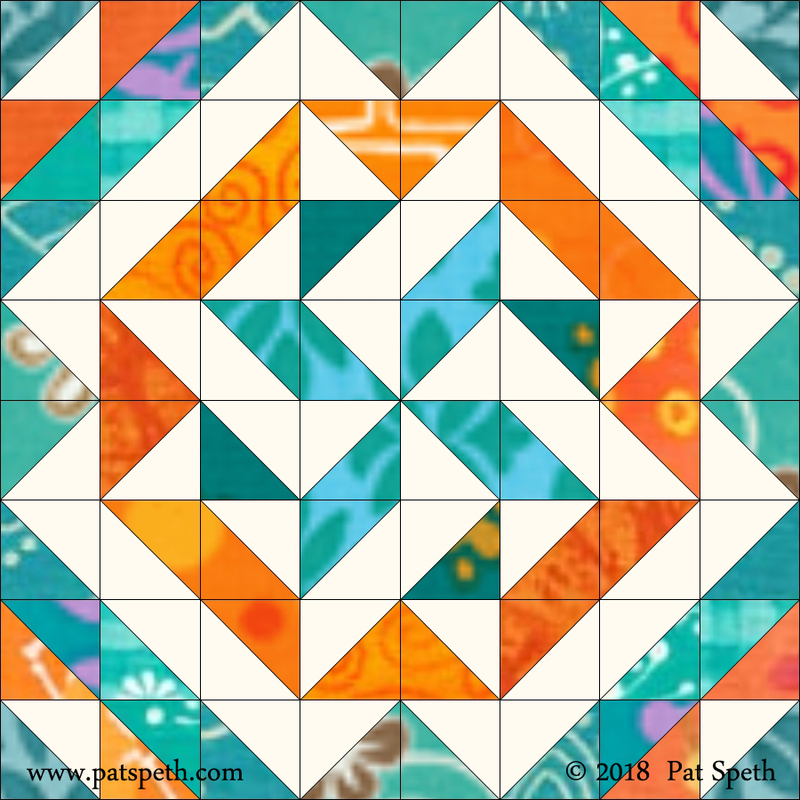 Four Patches can be used in hundreds of different ways and in my Half-Square-Triangle and Four Patch workshop we can work on fifteen of my quilts that use these units. 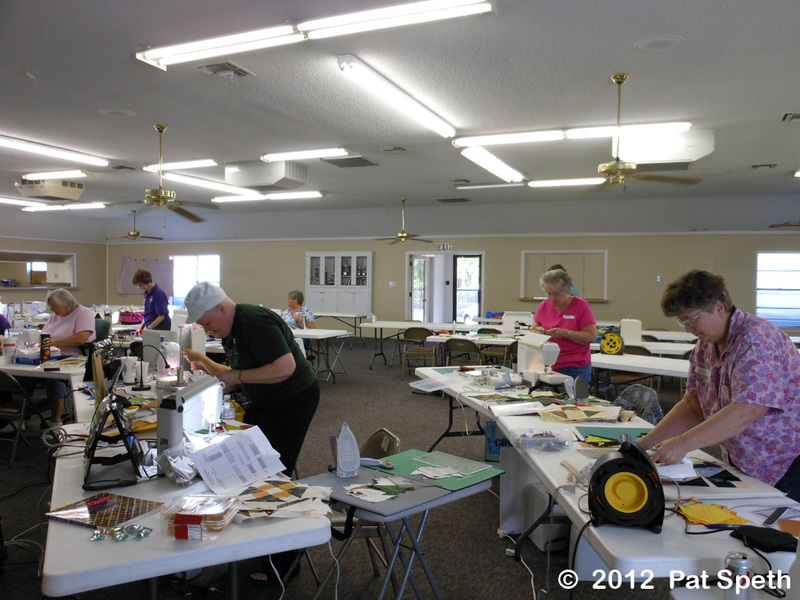 Have your guild schedule a Nickel Quilt workshop! Before I sent the last of the Baby quilts off I remembered to take a few photos. 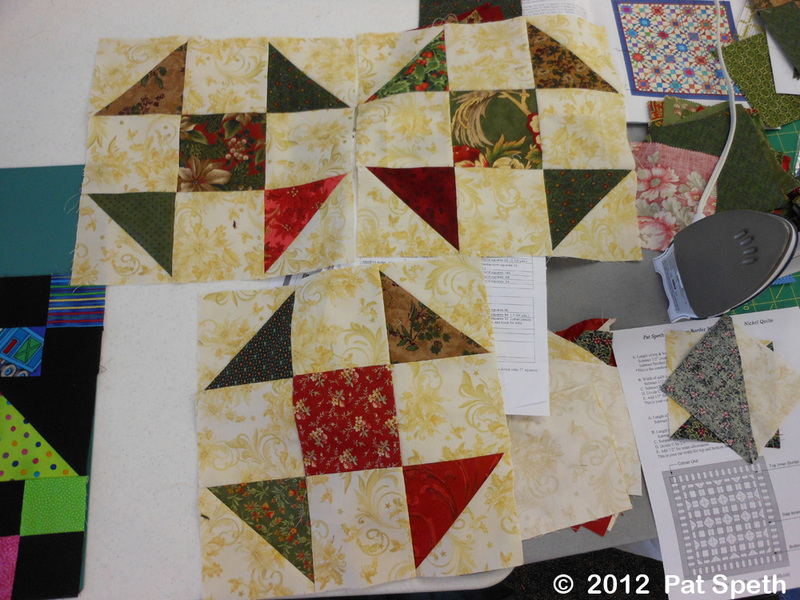 This is the quilt just off of the longarm machine and ready for binding. A close up of my basic all-over quilting which disappears on the quilt and you sometimes really have to look for it to notice it. 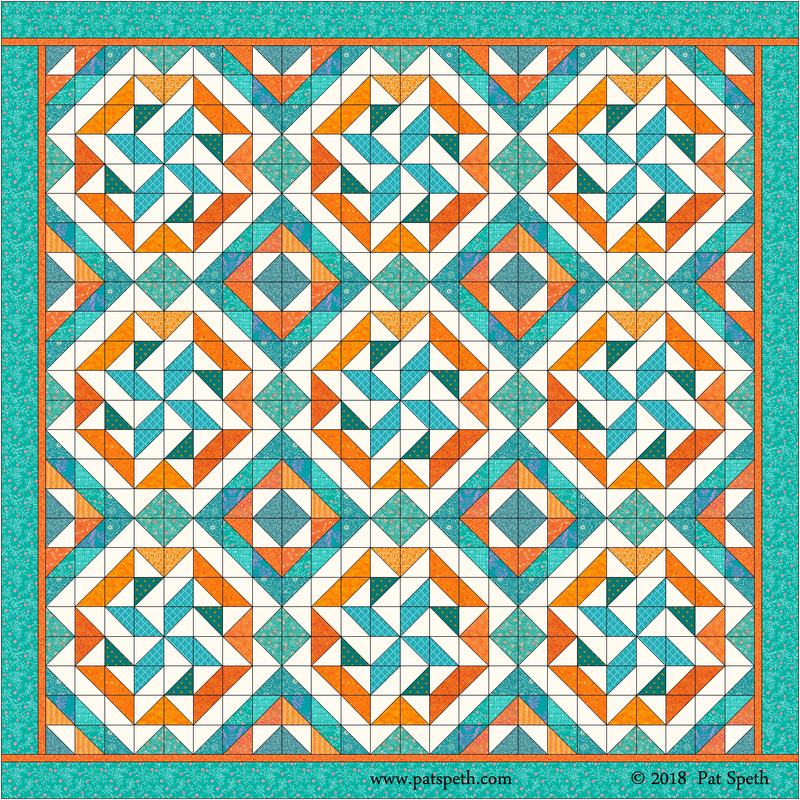 This time I used just an easy star and loop design and you really can’t see it very well, which believe it or not is what I am after; I want my piecing and the fabrics to be the focus of my quilts and not the quilting. The quilt completely done and pinned up onto the design wall! 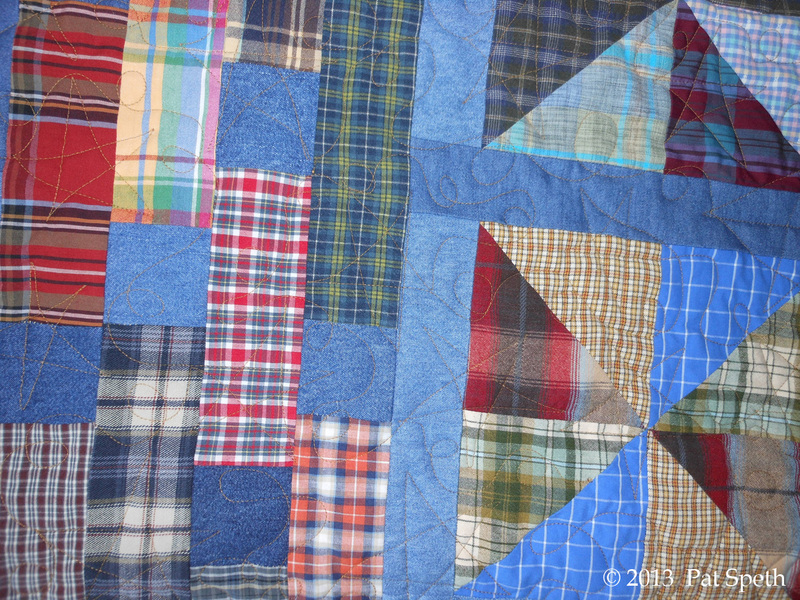 There will be a few more of these for me to make as lap quilts. 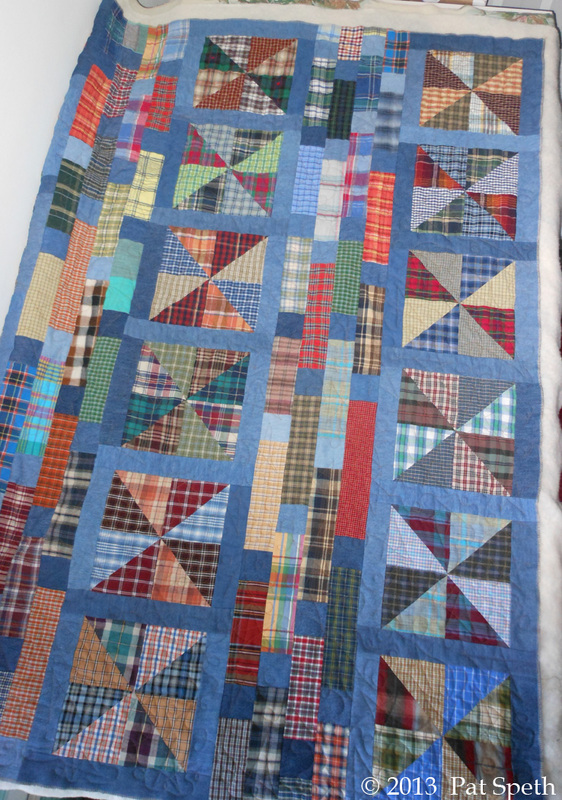 My daughter Roxie fell in love with these and I have many of the table runner sections to still put to use, and of course lots of plaids from thrift store shirts since it seems I am unable to stop buying them! 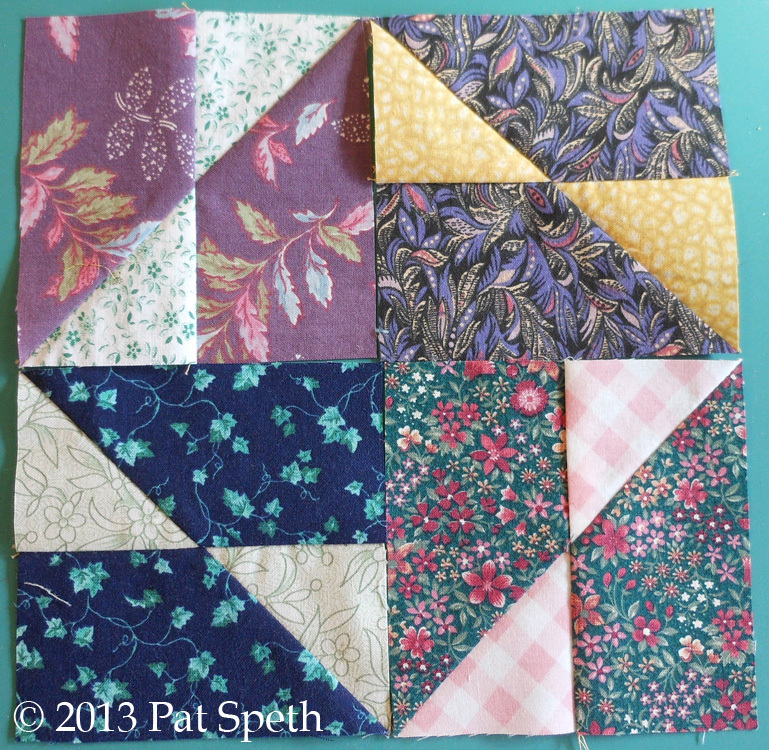 I’ve been making lots of these Turnabout blocks and having a blast! 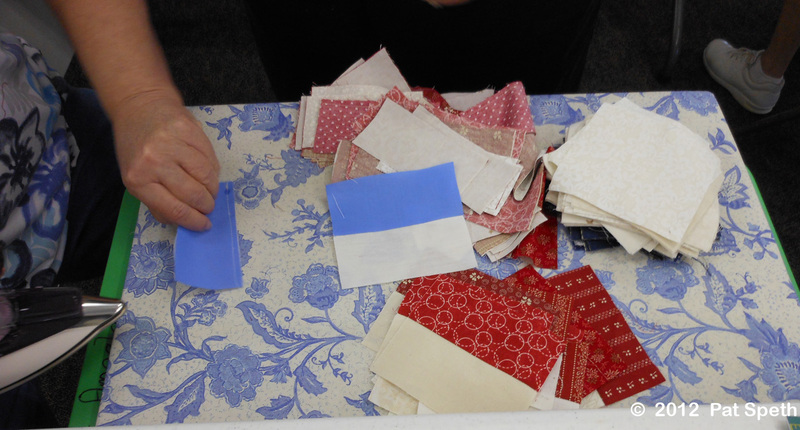 Working with some of these vintage and visually challenged fabrics can sometimes be tricky. Note that I did not call them ugly; that would be politically incorrect. VBG! Some of the blocks are turning out better than others. 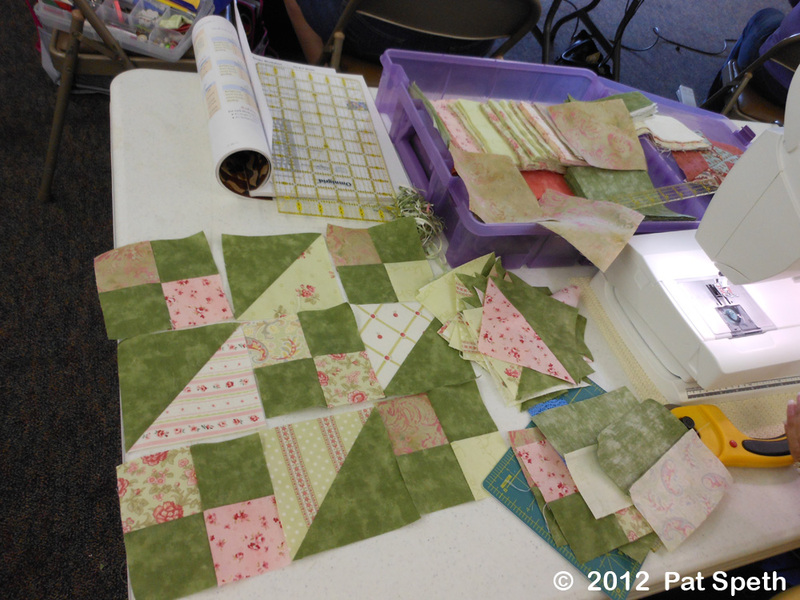 These are blocks that are not going to make the cut and find their way into this quilt. The fabrics just mushed together. My spell checker is telling me “mushed” is not a word, well it is in my world. 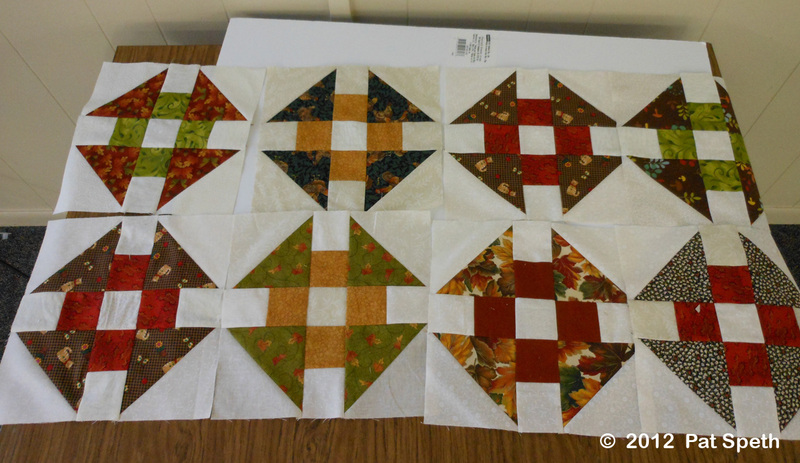 When I auditioned the fabric squares they looked like they were going to work well together. 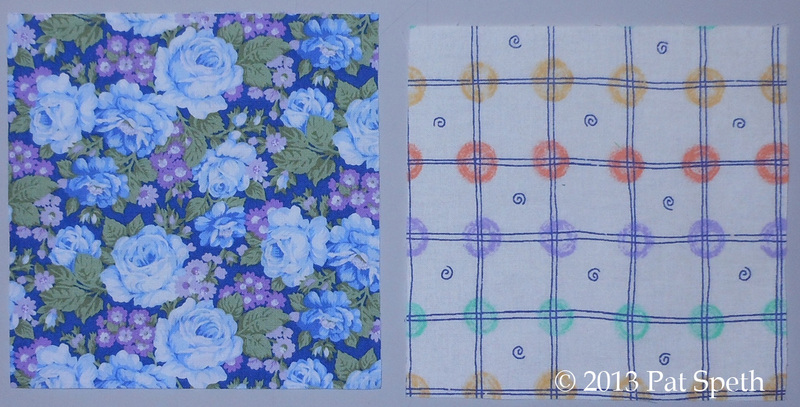 I think the problem is that the circles in the lighter fabric are about the same scale as some of the flowers in the blue fabric. 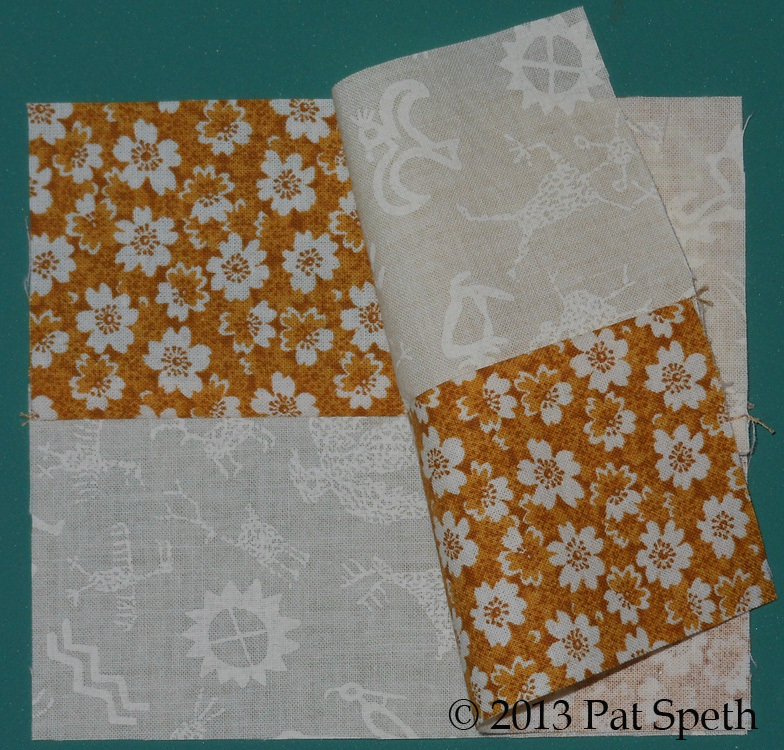 So back to the fabric pile to choose another light to go with this floral print. 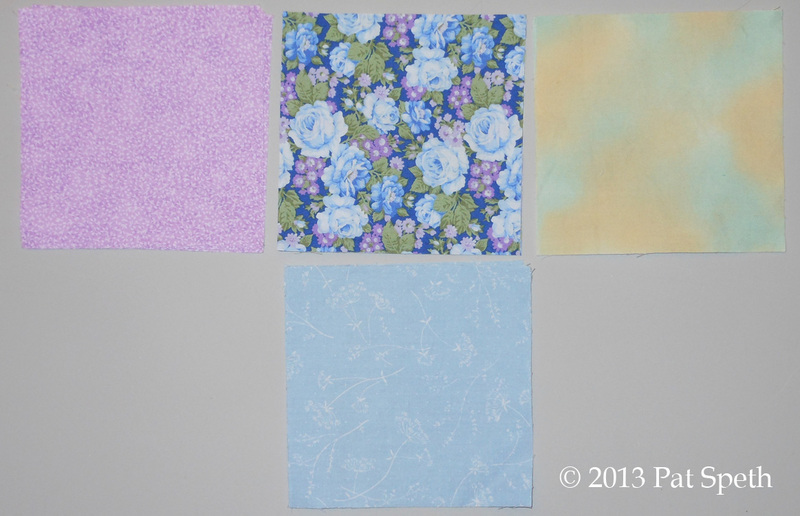 I’m not giving up on using the blue floral since I have a whole yard of it I cut up into 5″ squares. I can’t even blame it on a fat quarter trade and say someone gave it to me; it was a whole yard which means I purchased it! So here are some lights that I thought would make a better combination with the blue floral. And now the finished blocks! I can actually see the pattern all those wonderful picket fence units are supposed to create in this block. Before I put some of the blocks together I took the time to see what this block would look like scrappier and not so controlled, and I like the look. 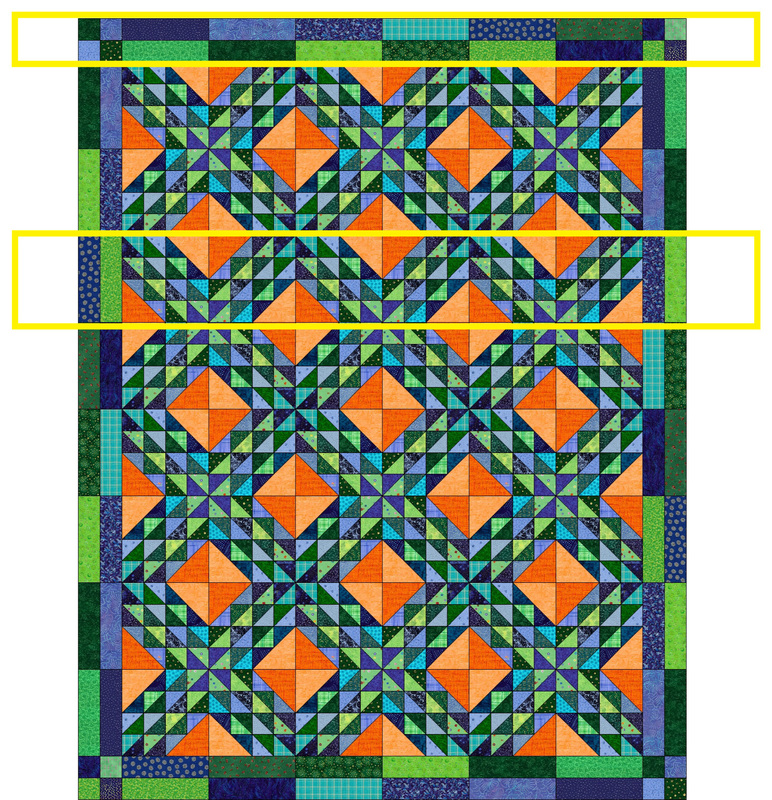 This would be a great way to make this block if you do not have sets of four for your darks and lights and are working with single squares. Next blog: Working with stripes in the Turnabout block. And I just happen to have mass quantities of this vintage drapery fabric. 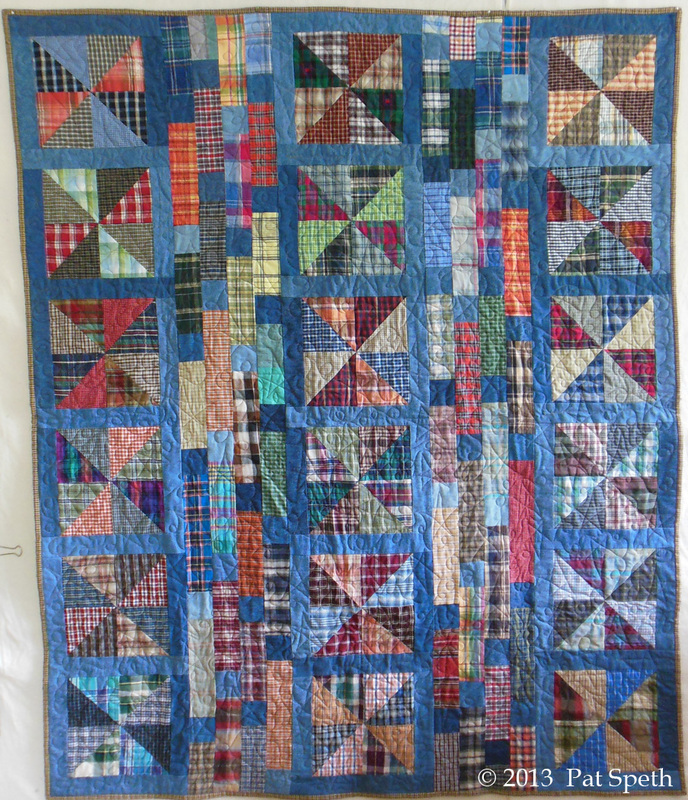 This is the sample I made up – it still needs a pocket – maybe out of red lumberjack plaid (Tom’s favorite plaid). 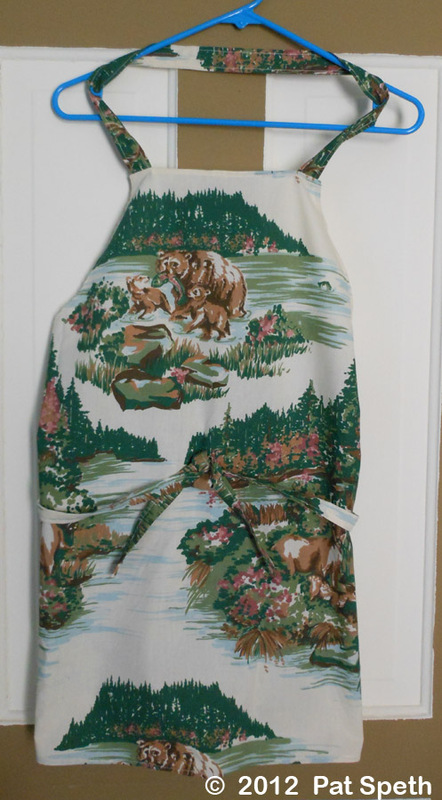 Roxie’s future MIL, Mary has volunteered to make the rest of the aprons, all with the same fabric – thank you Mary! 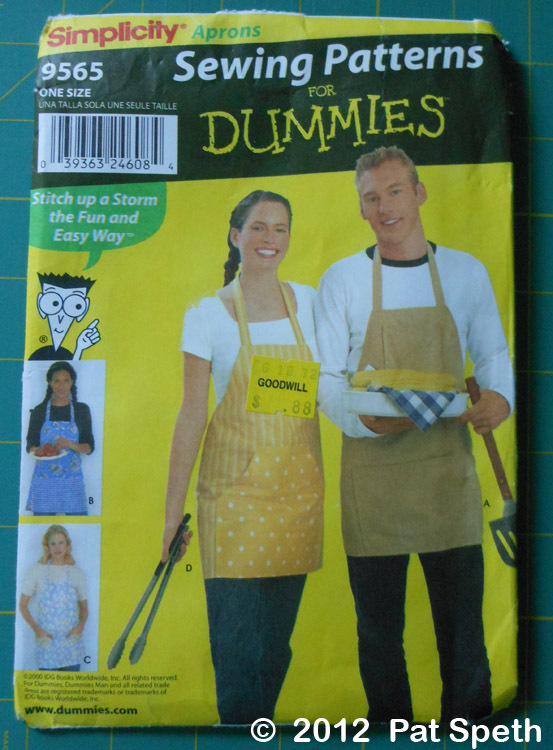 I know this apron will be a big hit among Roxie’s friends and relatives and they will be signing up to help serve at the reception just to get one of these! 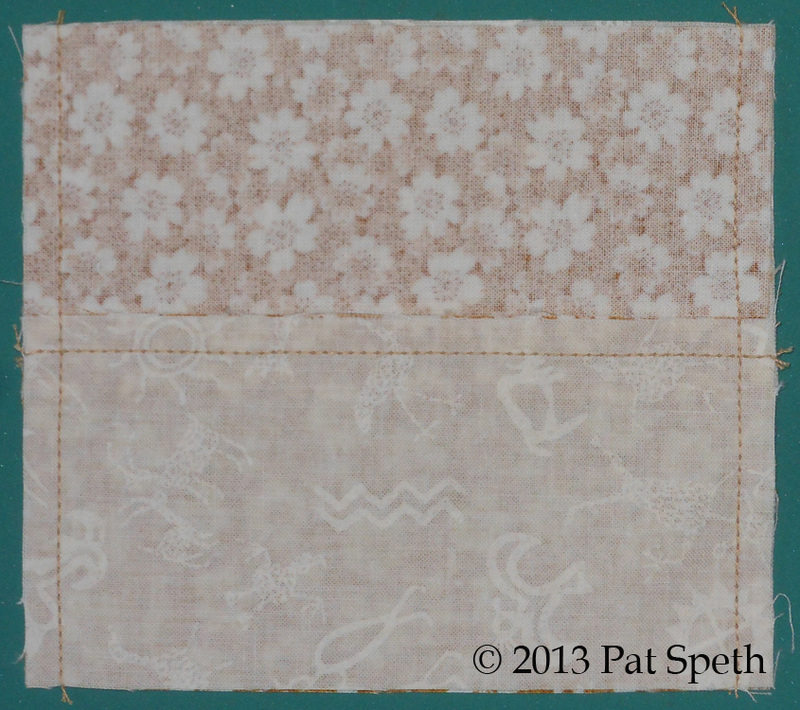 I’m glad I found another use for this vintage fabric – it’s also going on the back of the wedding quit. Whew! I’ve spent the last couple of days packing 4 tubs of quilts, boxes of product, and workshop handouts to ship to California. It takes a lot to get this show on the road and I am very thankful for all the extra work the program chairpersons do in hauling me and the quilts around. 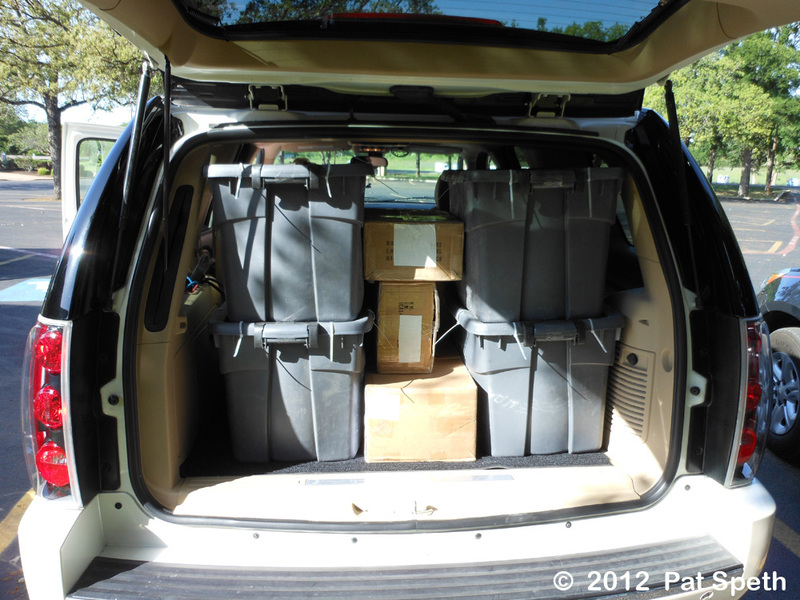 This is a full size SUV with the back filled with tubs of quilts and boxes – for the best trunk show ever! 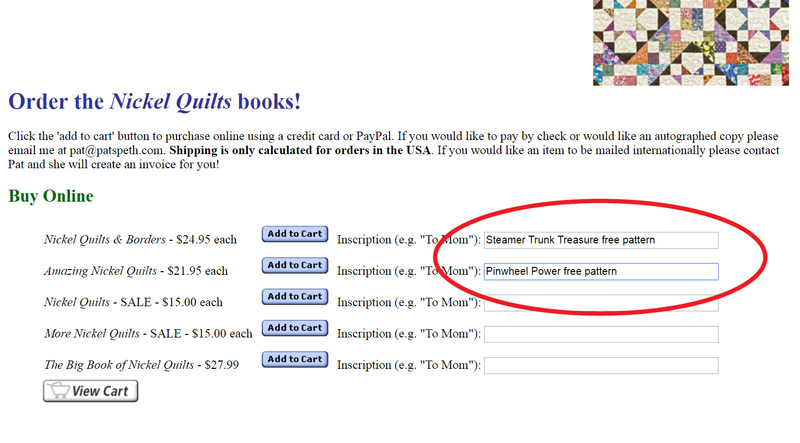 I love being able to share the quilts with everyone and they get shipped ahead via FedEx. I wouldn’t be able to bring this many quilts on a plane and I don’t really trust the airlines with my quilts. In one year alone my suitcases arrived a day after I did on four different trips (not a good track record) and who needs that kind of stress!? 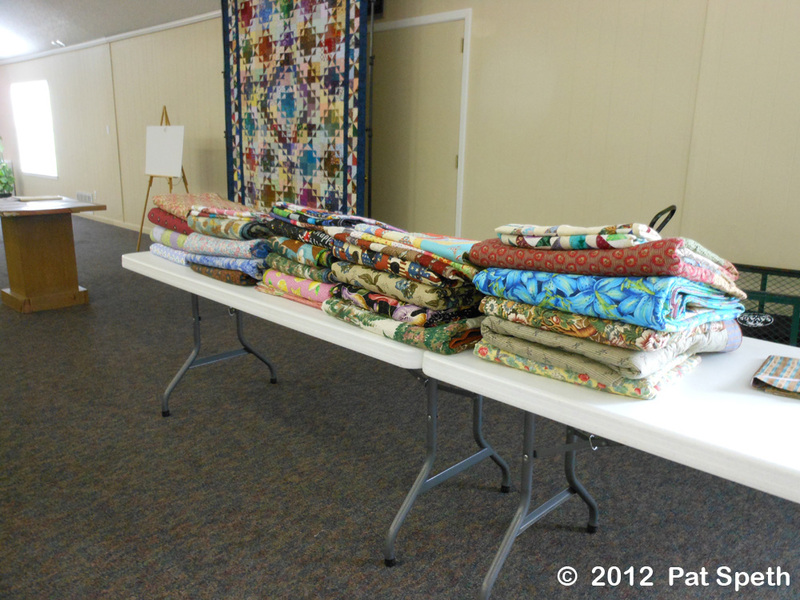 Look at all the quilts – those are 8 foot tables! 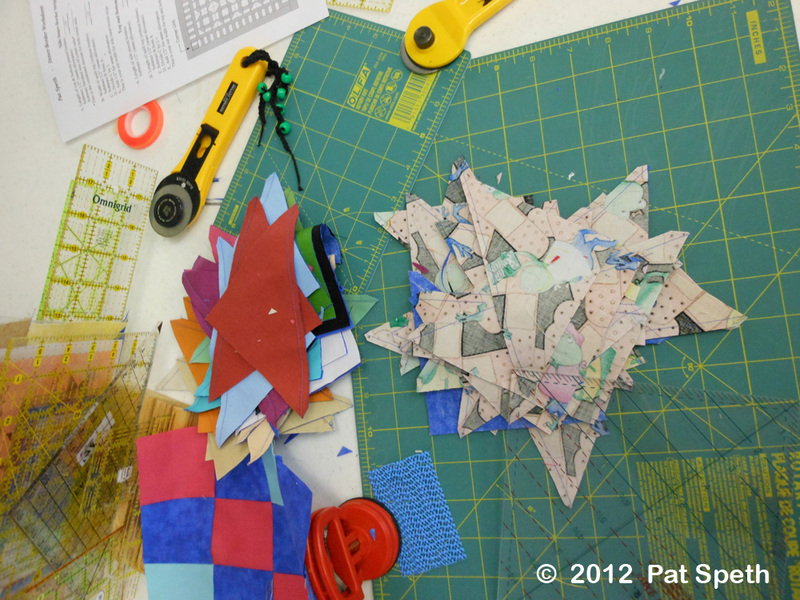 Half-Square-Triangles and Four Patches for this workshop – and yes, 15 different quilts can be worked on – oh the possibilities! 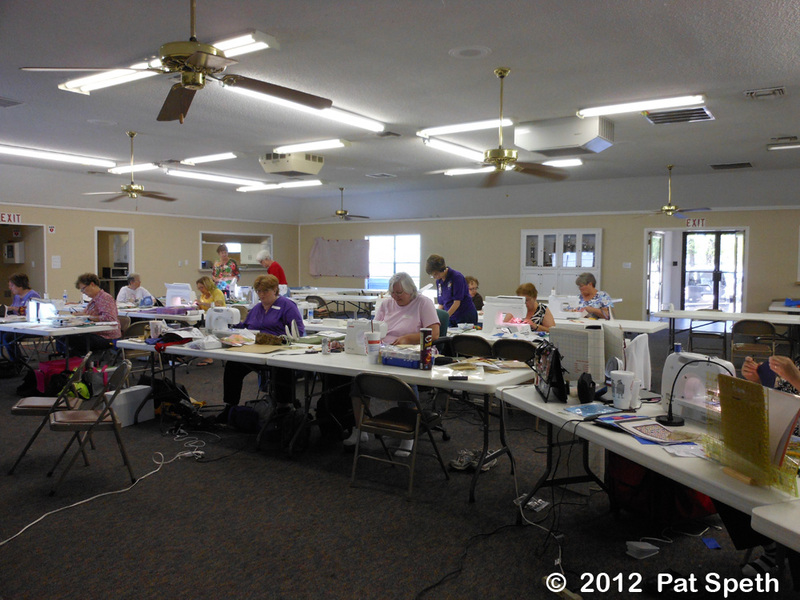 I don’t allow participants to get a whole lot of sewing done during class, especially in this class, since they can sew at home. Instead, I keep interrupting with demos – I have so much to share and we have a limited amount of time together. My mission is that I want everyone to have as much fun working with 5″ squares as I do, so I need to provide tons of ideas to work with. 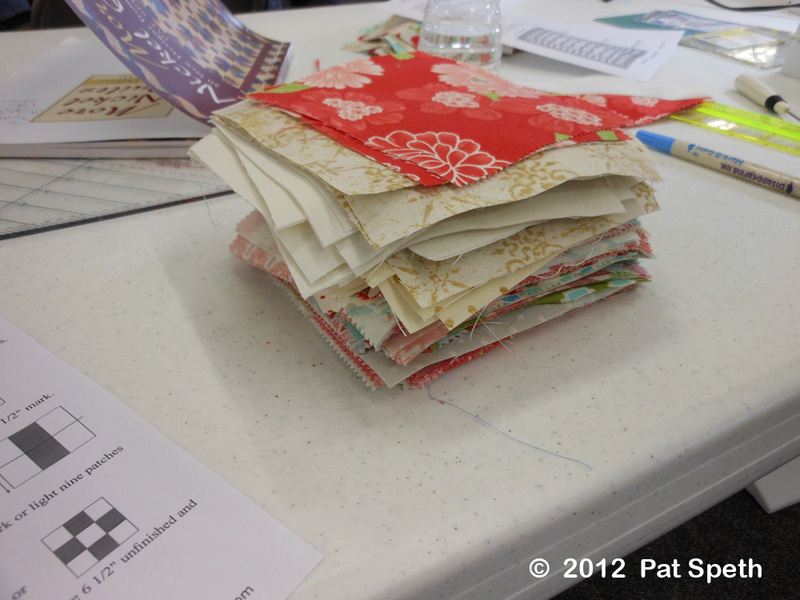 A stack of 5″ squares – the possibilities are endless! 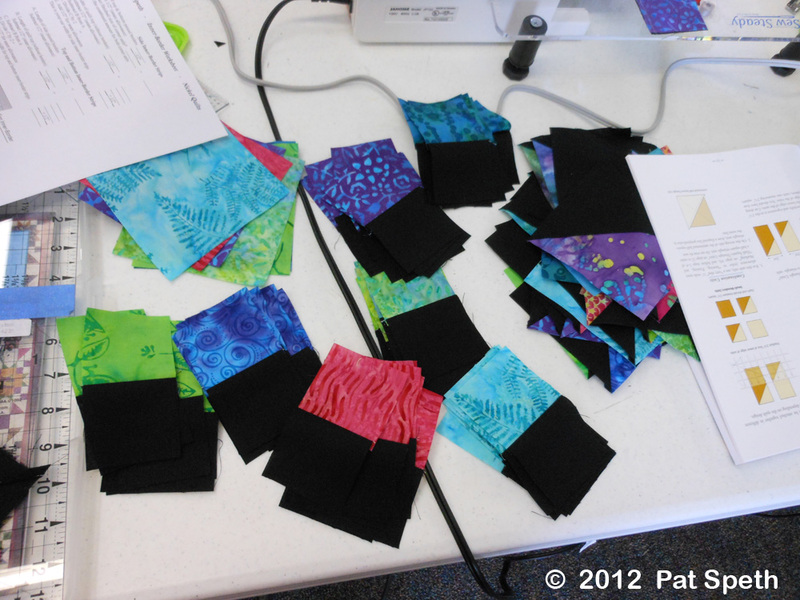 Two patch and half-square-triangle units ready to be sewn into blocks. Beach Party blocks look great with white or black backgrounds (shown below). 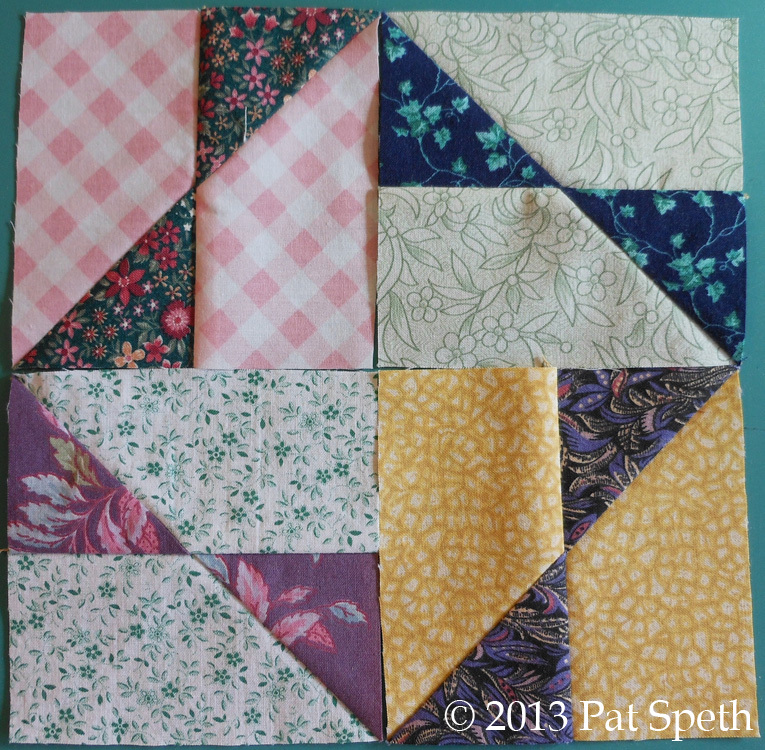 Shoo Fly blocks are one of the blocks in the Texas Two Step quilt. The strangest part of this job is getting to know and becoming friends with the gals I work closely with (like the program chairpersons and if it’s a home stay, my hostess) and then not seeing them again unless I have a return visit to the guild. 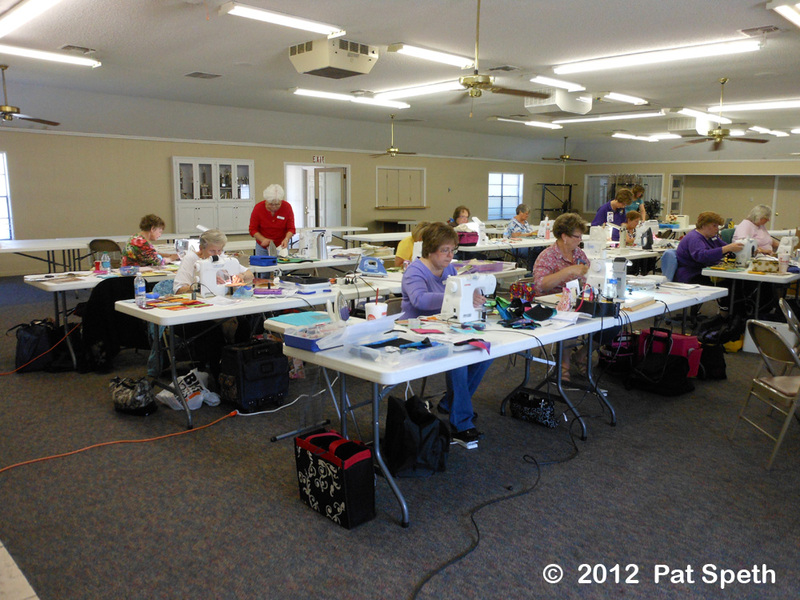 Many times like with the Granbury guild it’s the same person. Marsha was my hostess for this guild and she put up with me for 4 nights. All my hostesses on this trip were wonderful – one of the days I may surprise someone – especially someone in Texas or another southern state and show up on their doorstep in January or February! 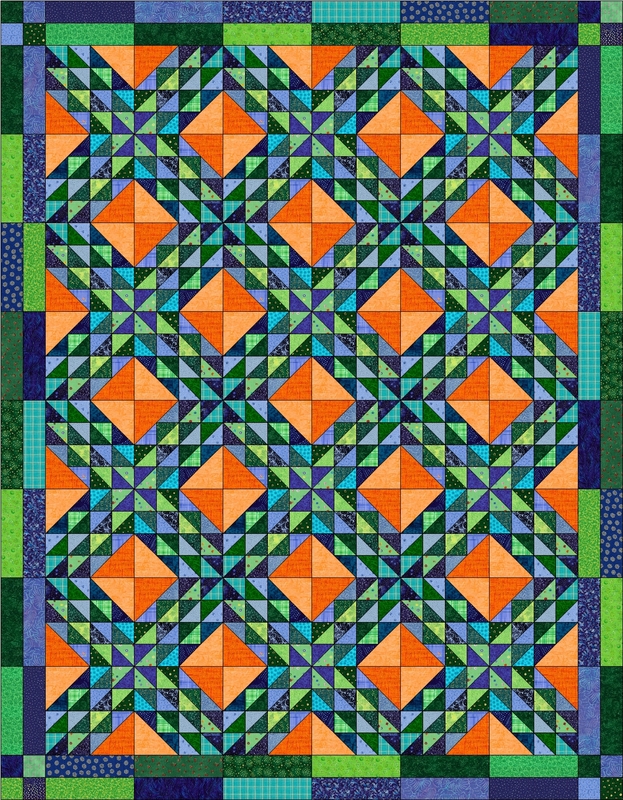 Okay gals let’s see those quilts!